Liverpool host Everton on Saturday in a huge Merseyside derby on Saturday. Here, Press Association Sport looks ahead to the fixture in numbers. Total number of Merseyside derby fixtures, with Liverpool coming out on top with 90 victories, Everton winning 66 and the teams drawing 71 times. This will be the 50th Merseyside derby in the Premier League. Liverpool have won 21 of those, while Everton have only managed nine victories and 19 games have been drawn. Liverpool are undefeated in the last 13 Merseyside derbies. Everton‘s last win was a 2-0 success at Goodison Park in October 2010, secured by goals from Tim Cahill and Mikel Arteta. The last season in which Liverpool recorded a league double over their rivals. 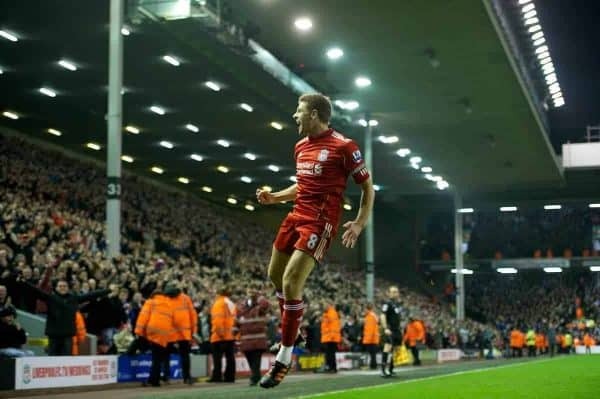 The Reds won 2-0 at Goodison Park in October 2011, before a Steven Gerrard hat-trick secured a 3-0 success at Anfield five months later. The double is on again this year, after Liverpool’s December win at Goodison. The last year that saw an Everton win at Anfield. Kevin Campbell scored the only goal of the game in the fourth minute. The game saw three red cards as Liverpool goalkeeper Sander Westerveld and Everton striker Francis Jeffers were sent off for fighting in the 74th minute, while Steven Gerrard was shown red in the 90th minute for a dangerous tackle. There have been six draws in the last nine meetings between the two clubs. There have been eight goalless draws in the fixture in the Premier League era. 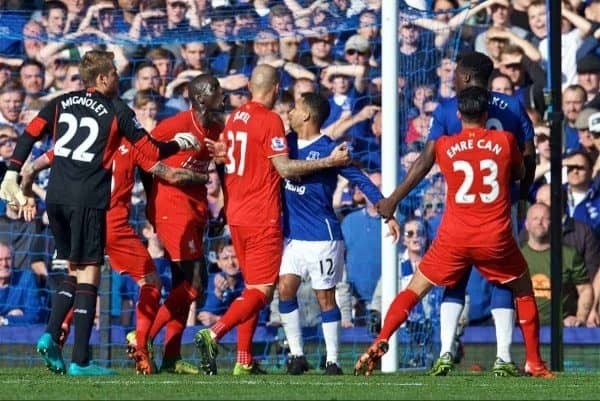 The number of red cards in the Merseyside derby since the Premier League began in 1992, which is more than any other Premier League fixture.